Whatever you fancy, in the 12 days leading up to Labor Day, you can probably find a few of your favorite things at the Minnesota State Fair. Here’s a guide to the fair that highlights a few of my favorite things! Over the years I’ve visited the Minnesota State fair at least 50 times. (I’ve only missed one or two years over the past 30 and I usually go two or three times each year and I went a few times as a kid.) While I have a few things I always see or do at the fair, each visit involves a different mix of activities. That means there isn’t too much of the fair I’ve missed over the years! Below I’ll share some of my favorite discoveries, other options worth checking out, and tips for planning your own visit to the Minnesota State Fair. While this list hits some of the highlights, it is by no means comprehensive. Even if it were, the fair continually changes as new things are added and others disappear. The Minnesota State Fair is never exactly the same twice! Here in the middle of the USA, county fairs got started as agricultural events where farmers could show off and sell their best animals and crops, learn new techniques, and swap community gossip. To some degree that is still true of every county fair in Minnesota – even in urban areas where “livestock” may be limited to the rabbits and chickens raised by 4H students. And, at the end of the season, the Minnesota State Fair does its part to keep this tradition alive with a full range of animal exhibits and competitions. When it comes to animals at the fair, I’m all in for chickens and horse shows. Without a doubt, the poultry barn is my favorite spot for “animal” watching at the fair. If you think chickens are white birds that lay white eggs, you need to meet me at the poultry building. I guarantee you’ll never think of chickens the same way again! Sadly, chickens are only at the fair for a couple of days – August 29-31 this year. So plan ahead! I’m not a big fan of the horse barn itself (the stalls make it virtually impossible to see the horses). However, the riding and draft horse competitions are fun to watch. And they are free with any admission to the fair. Since horse shows tend to be fairly expensive, this is a great opportunity check out a few events. The State Fair competitions cover a broad range, with hunter and jumper, English, draft, miniature, and Western classes, so there is sure to be something that interests you. What’s happening changes each day, so be sure to check the schedule if you are interested in a particular event. While I seldom manage my time well enough to be ready for a break at the same time an interesting competition is underway, it’s always one of my goals. The Minnesota state fair has competitions for cattle, horses, swine (hogs), sheep, goats, llamas, alpacas, rabbits, and herding dogs. There are also competitions for chickens, pigeons, waterfowl, and turkeys. The barns are generally the best place to get a close-up look at them. Although there will always be some cattle, horses, and swine in the barns, not all types of animals will be on exhibit every day. In addition, most animals come to the fair for a couple days of judging and then head home again. To accommodate this, barns close early every few days when animals are arriving and departing. For the most part, animals are at the fair to compete. Their owners want to show they have the biggest, healthiest, and best cattle, sheep, hogs, goats, or poultry in the state. All animals are judged using criteria specific to each breed and the animal’s purpose. For example, the criteria used to judge sheep depend on whether the animal is intended to be eaten, milked, sheared, or bred to get more sheep to eat, milk, or shear. Watching most of these competitions is a lot like watching a dog show. It involves a lot of walking in circles and standing around to give the judges a good look at the animal. But if you ask a few questions, you can start to understand what the judges are looking for and why. My cousin shows goats. When I first started watching the judging, I had no idea what was going on or why. But once she explained what sort of things the judges were looking for, I began to see why one goat might score better than another. At that point the competition becomes a game: Can I guess which goat will win? Generally animals are judged in a ring in the barn where they are housed, although it appears that 4H competitions and some horse events will move to the new AgStar arena. Most competitions involving horses and cattle are held at the Warner Coliseum. Who can resist baby animals? The Miracle of Life building is designed to teach about the development of babies and their birth. There are even television cameras that provide up-close views of animals giving birth while a veterinarian explains the process. However, most people (including me) come here just to coo at adorable baby animals. Most kids visiting the Minnesota State Fair today don’t have much interest in farm animals. That doesn’t mean they shouldn’t take some time to learn about them, but pets are likely to be much more popular. The state fair’s Pet Center caters to that interest with exhibits, information, and merchandise. (It covers pets of all kinds, but is pretty heavy on dogs.) In addition, visitors can watch pet surgeries performed live via an overhead screen. If, like me, that isn’t really your thing, go outside and watch canine agility demonstrations by police dogs, sled dogs, and more. What would a fair be without colorful rides and ridiculous games of skill chance? The Minnesota State Fair has all these and more! Not only is the Midway after dark my favorite ride-related thing at the fair, it has become my overall favorite thing. I could happily spend every night of the fair’s 12-day run on the Midway with my camera. As a kid who got a little nauseous on the carousel, carnival rides held zero interest. As an adult I visited the state fair many times without ever stepping foot in the Midway. And then one night I took my camera to the Midway to see what I could do. Now this is where you are most likely to find me from 6 pm until the end of the nightly fireworks show. It seems like it’s been there forever, but the state fair SkyGlider has only been around since 2001. The SkyGlider has always looked like the ideal way to see the fair since it offers a birds-eye view with no crowds and no glass between me and the scene below. However, I’ve gone to the fair a few dozen times since it was built without ever trying it. Finally, this was the year. And now it is one of my favorite things. The SkyGlider is not the most exciting ride at the fair. And the need to slide on and off of while it is in motion requires a level of coordination that seniors (who might otherwise enjoy a gentle ride like this) may lack. However, there is something absolutely magical about silently floating above the chaos below. And it is a great way to get from one end of the fairgrounds to another. It used to be that the only rides and games at the fair were in the Midway or Kidway (for the younger set), but that’s changed. Today those traditional fair activities have been supplemented by an Adventure Park and stand-alone activities like this year’s beautiful giant Ferris wheel. There are also games and activities sponsored by exhibitors and vendors to educate, inform, entertain, and promote a wide range of issues, activities, products, and services. Many of these activities are scattered throughout the fairgrounds. However, the Eco Experience Building has the largest concentration of them. This year, Eco Experience games include storm drain air hockey, a bike safety game for kids, a nature play area, and more. Individual exhibitors offer games and activities too. For example, the inventors of a synthetic log are offering the public a chance to try log rolling. I have a vague sense that once upon a time, before the farm crises of the 1980s, the fair was where everyone showed off the biggest and best from their fields and gardens. And maybe that’s really how it once was, or maybe that’s just a Norman Rockwell fantasy. Whatever the case, there aren’t nearly as many displays of agricultural crops and garden produce as one would expect at the state fair. But that doesn’t mean there aren’t a lot of great flowers and other things to see! Various plant and garden societies hold competitions in Agriculture Horticulture Building. But, without question, my favorites are the orchid and bonsai shows. The rotunda of the Ag Hort Building is home to a set of giant kaleidoscopes. These have large spinning garden bowls a clear glass scope for viewing. Turning the tube changes the pattern seen through the kaleidoscope, while spinning the garden bowl changes the colors. 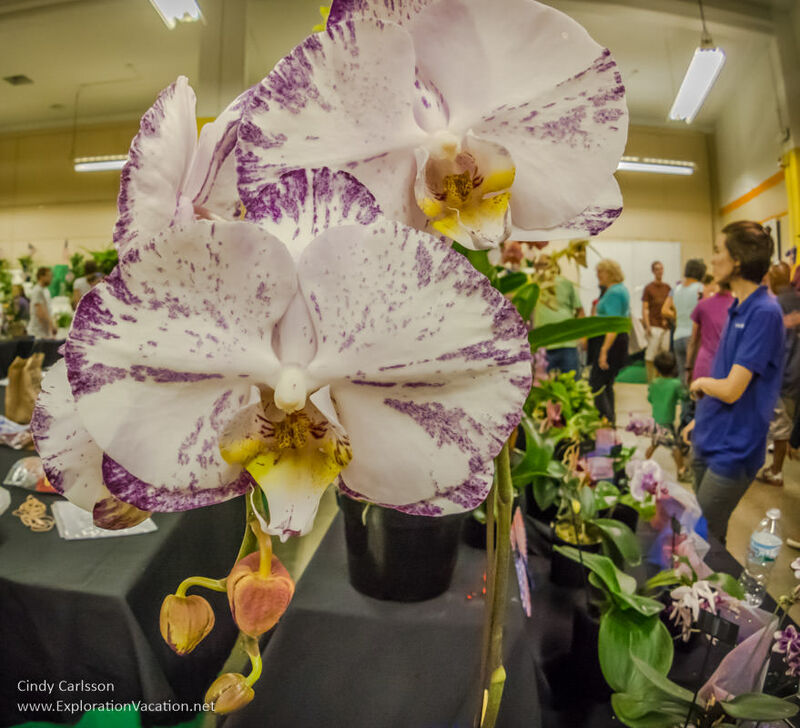 The Minnesota Horticulture Society and the state garden club hold shows in the Ag Hort Building. So do the African violet, dahlia, and gladiola societies. The state florists also hold a competition there where they fill the rotunda with fanciful floral displays. In recent years these have included some amazing over-sized and over-the-top creations. In recent years the fair has expanded the number of gardens found around the fairgrounds. While most of the fair’s “gardens” are just nice flowerbeds, there are a few that really deserve to be called gardens. Agricultural products like field corn, grain, and vegetables aren’t nearly as prevalent as one might guess. However, there are competitions for all of these, as well as for things like honey, Christmas trees, home brewing, and wine. These can be found in the Agriculture Horticulture building along with the flower exhibits. In addition, the 4H Building has a few agricultural exhibits. No matter how you define art, you’ll find something you like at the state fair! The range and quality in the Fine Arts Building varies wildly from year to year, but when it’s good, it’s really good. And even when it’s not as good, there are still wonderful pieces on display – just not as many. For the record, this year’s show is fabulous. 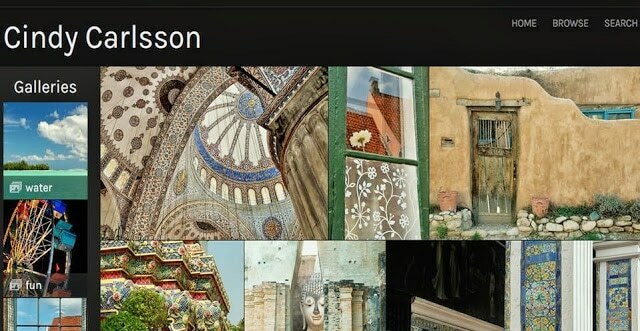 It’s particularly strong in photography, which was a complete disaster last year. Go see this year’s wonderful show. I used to quilt a little, so I’m biased here. However, I think quilting is fascinating because it crosses that boundary between fine art and craft. It can be gallery-worthy or a homey keepsake. The state fair quilt show includes the winning quilts from county fairs around the state as well as quilts entered by individual quilters, so the range is huge. I guarantee you’ll find one you like. Love it or hate it, crop art is one of those things that says “state fair” like few others. And if you’ve never seen it, you will be amazed by what can be created using seeds, grains, and other plant materials. The Creative Activities building is the epicenter of Minnesota craftiness. Besides housing the cooking competitions, it displays knitting and needlework of all kinds, quilting and sewing of all kinds, beading, glass work, wood carving, furniture building, stamp collecting, and pretty much any other craft you can think of. There are also nice displays of art and various crafts by some absolute masters in the Ramberg Senior Center. The 4H and Education buildings also display art and crafts by Minnesota youth. For some people, the fair is all about food — either eating it or preparing it for competition. If fair food is your thing, then the Minnesota state fair is the biggest, baddest, pop-up restaurant to hit town each year. There’s food everywhere – buy a $5 Blue Ribbon Bargain Book and try as much as you can. When you are tired of eating, go check out a cooking demonstration or the entries in various cooking competitions. There are made-for-the-fair craft beers everywhere these days and an increasing number of comfortable places to enjoy them. Like food, it’s everywhere. Unlike food, most of it is free. 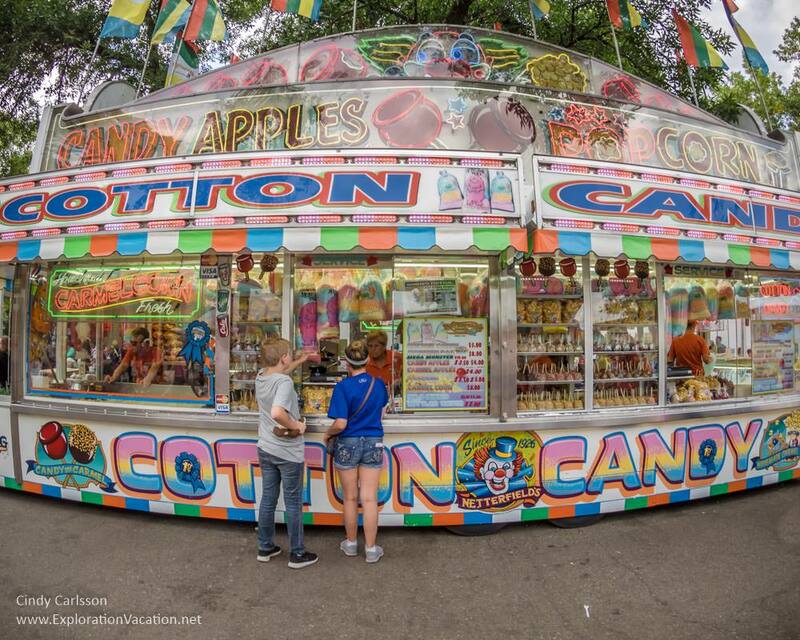 When I was kid we went to the Minnesota State Fair every few years. I think we made this trip largely so my dad (who grew up on a farm) could commune with the tractors on Machinery Hill. I was considerably less impressed by the rows of John Deer tractors and assorted implements. The real farm machinery disappeared from Machinery Hill about the same time family farmers were replaced by corporations. However, there is always machinery of some type on display. For the past few years it’s been a mix of garden tractors and lawn equipment, a Bobcat or two, cars, trucks, ATVs, horse trailers, and utility trailers. Last year I noticed a lot more campers and larger tractors in the mix, so it’s still evolving. Oddly, the display of antique tractors, especially steam-powered equipment, also seems to be growing each year. Along with the machinery, a number of vendors selling tools, chainsaws, and other equipment. I wish they had samples of all the different kinds of farm equipment used today, along with demonstrations of how they work. Most people are so disconnected from farm life. I’m not always sure what all of those monsters do and the fair seems like a good opportunity to teach the rest of us a bit about modern farming. I’ll also give you the low-down on basic state fair logistics. For now though, check out the Minnesota State Fair website and try not to feel overwhelmed by the amount of information there! I love all your pictures of the midway! It makes me homesick for the Geauga County Fair, which I used to go to every year (even though I’m from Summit County, but I think the Summit County Fair is pretty lame). My favourite things about the fair were also always the chickens and goats (and French waffles and Hawaiian shave ice too, of course)! Yeah, I get that, Jessica. I’m guessing that the British don’t have the same sort of thing although I’d guess there is no shortage of chickens and geese at an agricultural show in England! I always used to hang out at the county fair growing up – for whatever odd reason it was in my small town, instead of in the county seat and largest town. I went back the other year for the first time in a couple decades – it seems really small now! They do have country fairs, but they’re not like American ones. I went to one of the largest ones a few years ago, and it was so disappointing. There were only a handful of animals there, and almost none of the baking competition/crafts/giant vegetable tents that I so enjoy (though I have seen them at other fairs on TV, so maybe I just picked a bad one?). Most of the fair was just booths of people selling the most awful crap, and just typical British fair foods, which means definitely no elephant ears or funnel cakes or anything, just gross burger vans and chips. Oh that does sound disappointing! You’ll have to time your next visit back to the USA for county fair season and take in a few of them like you did with museums last time!